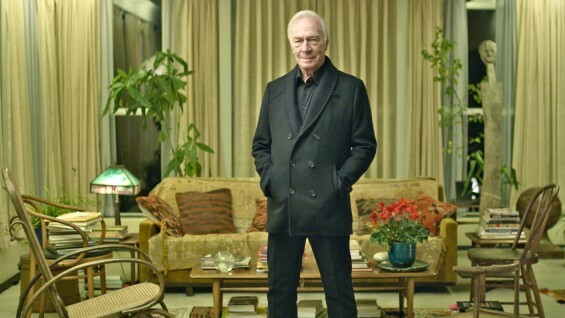 Christopher Plummer in Mike Mills' (A'89) 2010 film, "Beginners"
Alumnus Mike Mills' (A'89) film Beginners has won an Academy Award for Best Supporting Actor. Christopher Plummer received the honor for his role in the film which was written and directed by Mills. In the film, Plummer plays Hal Fields, a retired museum director who becomes openly gay after his wife of 44 years dies. The film tells the story of Hal’s last romantic relationship with a new man a few years before dying of cancer. Hal’s son, Oliver, mourns his father and reflects on his life as he ventures out to start a new relationship of his own with a French actress. The film is Mr. Mills' second feature and was awarded the 2011 Gotham Award for Best Feature, a distinction shared with Terrence Malick’s Tree of Life. Mr. Plummer’s Oscar-winning performance in the film had previously received many accolades, including a Golden Globe Award for Best Supporting Actor in a Motion Picture 2012, and the Denver Film Critics Society Award, the Los Angeles Film Critics Association Award, the National Board of Review Award and the Online Film Critics Award, all for Best Supporting Actor. Mills (right) with Plummer, on the set of Beginners. Before he was writing and directing feature films, Mr. Mills had a prolific career as an artist, graphic designer and music video director. Along with two feature films, he has completed a number of music videos, commercials, short films and documentaries. Prior to Beginners, Mr. Mills directed Thumbsucker (2005) which won acting awards at the 2005 Sundance film festival, the Berlin International film festival, and for which he received the 2005 Guardian New Directors award at the Edinburgh International film festival. In 1996, he co-founded The Directors Bureau (TDB), a multidisciplinary production company through which he has directed music videos for such bands as Air, Pulp, Everything but the Girl, Les Rythmes Digitales, Moby, Yoko Ono, and the Jon Spencer Blues Explosion; and commercials for such clients as Levi’s, Gap, Volkswagen, Adidas and Nike as part of their international campaigns. As a graphic artist, Mr. Mills has designed album covers for such bands as Sonic Youth, The Beastie Boys, Boss Hog, and Buffalo Daughter; and has also done extensive work for companies such as X-girl, Marc Jacobs, and Supreme. He has had solo art shows at the Andrea Rosen Gallery (1996); Adam Bray Gallery in London (1997); The Alleged Gallery (1996, 2001, and 2004); The Collette Gallery (1998); and The Mu Museum in Holland (2004). His work was featured in the “Beautiful Losers” exhibitions at the Contemporary Arts Center in Cincinnati and at the Yerba Buena Center for Arts in San Francisco, as well as in Aaron Rose and Joshua Leonard’s documentary feature Beautiful Losers (2008). A monograph of his work, Mike Mills: Graphics Films, was published by Damiani in 2009. A recent interview in Bad Day Magazine features Mr. Mills discussing his career and experience at Cooper Union.